Before last year’s February signing day, SB Nation’s Bill Connelly posted his returning production rankings for 2018. Notre Dame was at the top of the list on defense, boosted heavily by Te’von Coney, Jerry Tillery, and Drue Tranquill deciding to stay in school. They might not have stayed at number one after the Nick Watkins and Jay Hayes transfers, but regardless of that, it was clear that the Irish had a lot coming back on defense. Having all of that production back helped make Clark Lea’s first year as defensive coordinator a very successful one. The Irish went from being a good defense to a great one in 2018. They were ranked 27th in S&P+ in 2017 and leaped to 5th this past season. They also finished 14th in yards per play (4.72) after finishing 25th (5.05) the previous season. With those improvements, many people might find it surprising that the run defense and pass defense were not that much better than a year ago. They actually slightly dipped in S&P+ with the run defense dropping from 13th to 21st and the pass defense going from 7th to 8th. Yards per carry given up improved slightly from 3.97 to 3.84 and yards per attempt dropped from 6.3 to 5.6. None of it is earth shattering either way. Knowing that those two things didn’t swing drastically, where did the defense statistically improve to help them rise up in ‘18? A few specific areas really stand out. The Irish defense did a pretty good job at not allowing explosive plays against them in 2017 and they were even better at this past season. They jumped from 21st to 10th in IsoPPP (a metric that measure explosive plays). They only gave up 43 plays of 20 yards or longer all season (tied for 14th) and their 4.9% big play rate was 11th. They gave up 57 plays of 20 yards or longer in ‘17. Better safety play and a full season of Troy Pride at field corner were huge factors in them not allowing the long ball as often. The defensive back play was aided by the front being that much better as well, which leads into the next category. Everyone wants to immediately point to total sacks when it comes to pass rush improvement and saying it doesn’t matter would be a lie. The Irish finished with 34 sacks, 34th in the nation, the first time they have had more than 30 since 2012. It was 10 more than they had in 2017 when they finished 83rd in the country. That improvement is impossible not to acknowledge, but what they did on passing downs specifically is even more impressive. The Irish went from 98th in passing down sack rate, well below average, to 40th. Prior to this seaosn, the opposition didn’t have to respect the pass rush from the Irish. The development of Julian Okwara and Khalid Kareem changed things when the Irish went into their 3rd down package on defense. Swapping out Andrew Trumbetti for Kareem in that package definitely made an impact as well. Havoc Rate is probably my favorite defensive statistic because it’s more than just sacks. Havoc Rate is a team's total tackles for loss, passes defensed, and forced fumbles divided by total plays. In 2017 the Irish were almost smack dab in the middle of the pack in Havoc Rate finishing 66th. They improved to 41st in 2018. That’s obviously good, but not elite. It’s definitely a positive step in the right direction, though. The defense had never finished ranked in the top-60 since Connelly started tracking it five years ago. Defensive line Havoc Rate improved from 58th to 23rd with three players finishing with double digit TFLs for the first time in the Brian Kelly era. Defensive back Havoc Rate jumped from a miserable 97th all the way to 49th as well. The corner play delivered in this area in 2017 with Julian Love turning into a PBU machine, but it was the big play production from the safety position that changed things drastically during the recent year. The duo of Alohi Gilman and Jalen Elliott combined for six interceptions, 12 pass breakups, four tackles for loss, and three forced fumbles. The year before Elliott and Nick Coleman only managed five pass breakups and one TFL with no interceptions and no forced fumbles. 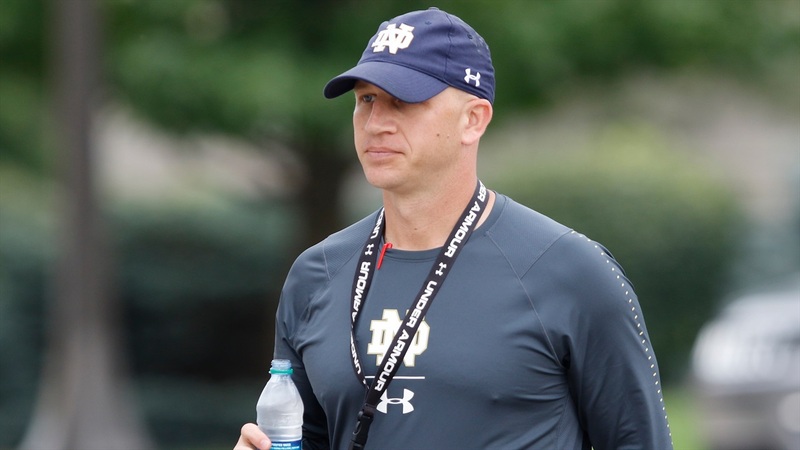 When teams reached Notre Dame’s 40-yard line in 2017, former defensive coordinator Mike Elko helped establish a culture where the defense wouldn’t give up anything easily. When their backs were against the wall, they got better. They finished 21st in points per drive when the opposition reached the 40. With help of veterans like Coney and Tranquill, Lea built on that and the Irish finished 5th in that same category in 2018. Some of that I would attribute to veterans taking pride in answering the bell when called upon. Another big part of it was that that Lea did a really good job squeezing offenses with coverage and pressure. It would often force the opposition into long field goal attempts and most college kickers gonna do what they do in those situations. Don’t give up big plays, step up when our backs are against the wall, and get after the quarterback seem like simple goals that every defensive coordinator writes down on a whiteboard in the first meeting before spring ball each year. I don’t know if Lea did that with his group when he took over the job as DC, but his guys did those things well. The defense became elite because of it.